The problem with most (all?) 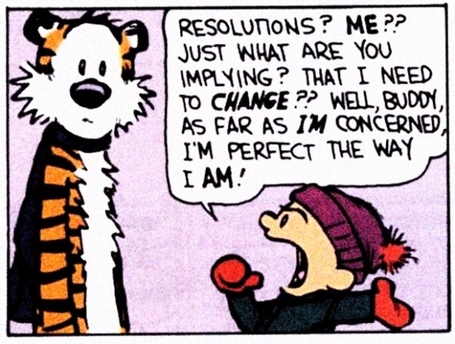 New Year’s Resolutions is that they tend to be forced, vague and impractical. As an example, Get Fit is a common one, and so in early January we see gyms and pools filled with eager and resolute individuals. And as little as 2 weeks later we’re back to the same old crowd. So in the spirit of practicality, I’m providing some honest New Year’s resolutions for Coaches and Swimmers. And who knows, we may even become better at what we do if we achieve these! I will try not to say a poor breaststroke looks like the twitching of a dying frog. Even if it does. I will only choose the races for upcoming meets when I’m in a good mood. Or in an OK mood. Or not in a really, really bad mood. I will try to not yell the same advice to a swimmer over and over. And over. I will try not to laugh when I enter swimmers in a hard event for the first time. I will spend less than 1 minute pretending to play with my goggles before getting into the water at practice.